Tech blog to share information. Create Apex class having a method with annotation @InvocableMethod. The class can only contain single @InvocableMethod method. 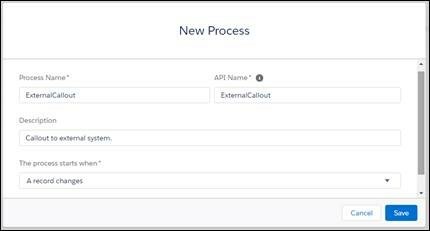 Currently, Salesforce does not support callout to external systems directly. To do so, we will need @Future callout. Future methods have annotation @future(Callout=true). Please check class snapshot for reference. 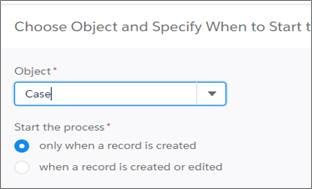 Specify the Object and when to start the process setting. I am working on Case. Define Criteria for our action defined. Define the action, here is action comprises of calling the Apex method annotated with @InvocableMethod. Action Type: As we need to call apex class so selected Apex. 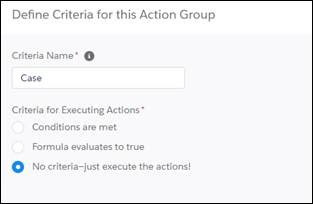 Action Name: Friendly name to identify actions. Apex Class: Class that needs to invoke. Apex Variable: If you want to pass information to invoking method you can pass parameters. In this case, I am passing the ID of the newly created case to my methods. Apex variable is visible only if @InvocableMethod accepts parameters. 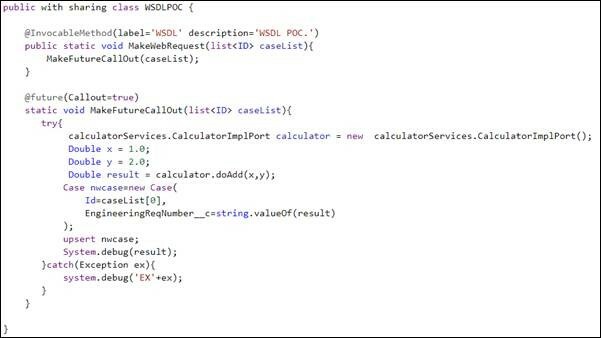 Below is my method signature. If You want to create multiple actions, then repeat Step-4. If all needed conditions are configured. Then click on Save. Don’t forget to Click on Activate. Salesforce : Use Single Inbound Email Service to Process Various Emails . Handling Bootstrap conflicts with Salesforce Styles!